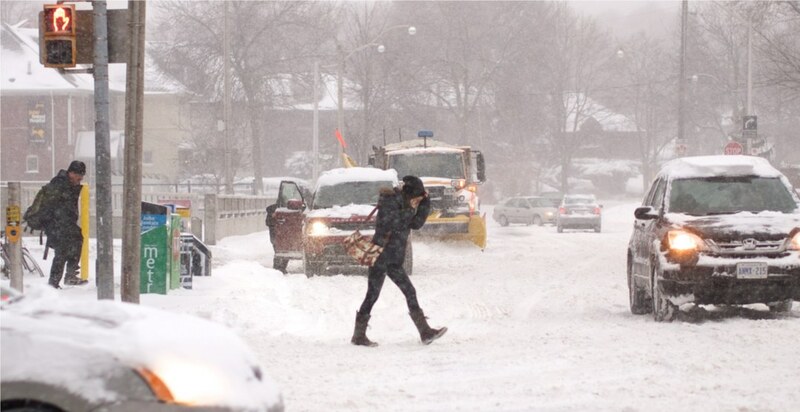 Environment Canada has issued a special weather statement for Toronto on Christmas Day. While the city woke up to the beauty of a fresh blanket of white snow, strong westerly winds could cause that snow to blow, and resulting in reduced visibility in areas. More flurries remain in the forecast for both Boxing Day and December 27. It’s currently -5°C in Toronto with the windchill making it feel more like -15°C. Make sure to stay safe and warm out there, Toronto. A beautiful white Christmas morning but becoming blustery with brisk winds and local blowing snow developing. Everyone will awaken to a fresh blanket of powdery snow this Christmas morning. However, brisk westerly winds are expected to pick up this morning causing areas of blowing snow at times, especially in exposed areas. Travelers should adjust their driving in the presence of reduced visibility in blowing snow. The forecasters at the Ontario Storm Prediction Centre wish you warm holiday greetings and a happy, healthy and safe 2018!